Nottinghamshire teenager Luke Wood, who was 12th man for England during the recent Test victory over New Zealand, says the experience has strengthened his ambitions to one day be an international cricketer. With England in need of left-arm pace bowlers to prepare their batsmen for Trent Boult, Wood was on hand to answer the call. He stuck around at Lord’s for the full match and came away thoroughly enriched by the experience. “I was bowling at the England batsmen during the game, such as before play when one of them wanted to face a left-arm seamer,” Wood said. “It was awesome to be around them and they were all pretty nice. “I also did a bit of 12th man, I did a bit of fielding out there and it was all a good experience. “It was something I’d never done before, and a big occasion with a lot of people in the crowd, so it was really good for me. “These are players I’ve watched on TV and things like that, so it felt a bit weird at times. But watching how they go about things, what they do in preparation to play and comparing it to what maybe I can do, that was really valuable. England’s 124 run victory completed a monumental turnaround for Alastair Cook’s side having trailed by 134 runs on first innings. And Wood revealed that the atmosphere, both in the England changing room and in the stands, will spur him towards the career ambition of playing international cricket. “It couldn’t have been a better game to be involved in,” he said. “The crowd was deafening and egging the team on all day. “I only went on to field once and it was the most nervous I’ve ever been – more nervous than when I’m bowling for certain. “To see it all unfold like that on the last day was really good and it was really interesting to see how the mood was in the dressing room after each session. “Being in there just after they won the game – it was a good place to be, especially after the way things have been going, there was a definite feeling of relief. 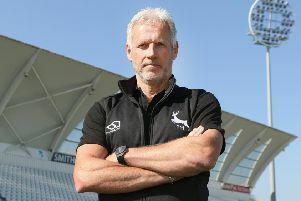 Trent Bridge hosts the fourth Royal London One-Day International between England and New Zealand on Wednesday 17 June.